The flagship store for the iconic chocolatier, which occupies two floors and covers 13,000 square feet within the New York, New York Casino & Hotel in Las Vegas, provides an experiential concept that immerses guests. Multiple senses are stimulated by more than 800 candy and chocolate offerings, including brands we all know and love: Hershey’s, Hershey’s Kisses, Reese’s, Ice Breakers, Jolly Ranchers, Twizzlers and more. The energy and boldness of the space plays well with the market’s demographic mix, particularly the adult Las Vegas guest, complementary to the luxury and sophistication that is increasingly part of the Vegas hotel, restaurant and club context. 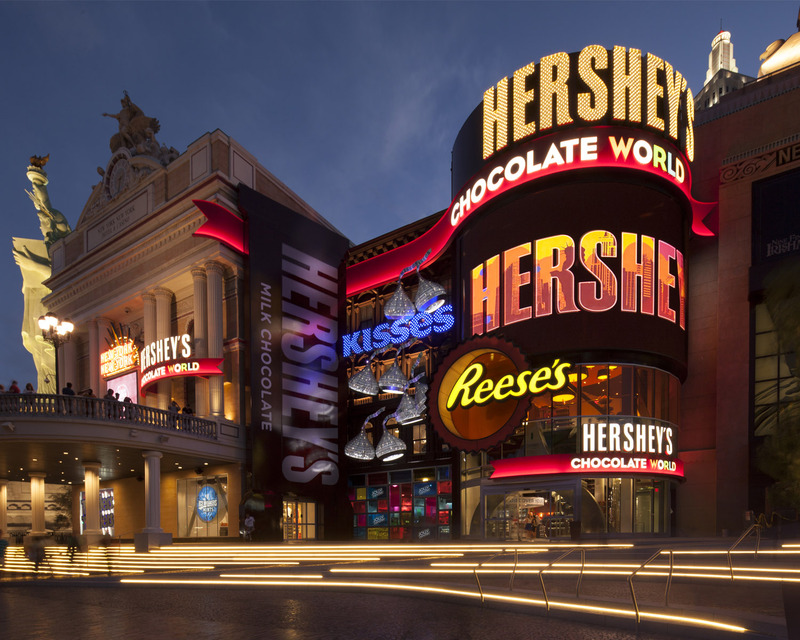 The end result is an immersive experience (with an over-the-top Las Vegas edge) that brings to life Hershey’s portfolio of iconic brands.